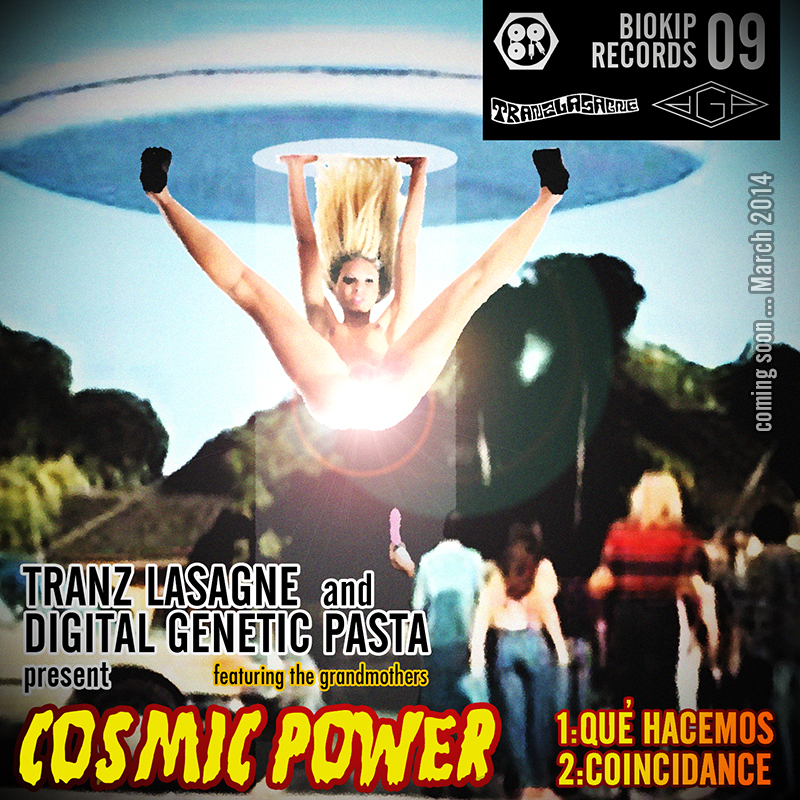 Tranz Lasagne, Digital Genetic Pasta and Grandmothers. Starting off with Digital Genetic Pasta`s CoinciDance, a low profile electro leaning techno tune where the Grandmothers make an appearance. Then moving on to Qué Hacemos, a straight forward techno track. As soon as you click play the Biokip Records essence bursts out, converting the radius into a funky disco circus. Out soon on all major electronica music websites!